Buses are very frequent in Skiathos. They depart from Skiathos Town and go to all the beaches on the southern side of the island, until Koukounaries. Schedules start early in the morning and end late in the evening. Frequent boats from Skiathos Town go to almost all beaches on the southern side of Skiathos, including Megali Ammos, Tourlos, Vasilias, Kanapitsa, Koukounaries and many other beaches. Also there are excursion boats from Skiathos Town to Lalaria, the most exotic beach of the island, and the Medieval Castle, on the northern side of Skiathos. 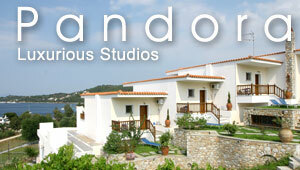 There are also day trips from Skiathos Town to Skopelos and Alonissos. There is a taxi rank at the port and outside the airport of Skiathos. These taxis go to all places around the island. Along the port of Skiathos and in other central spots around the island, there are car rental agencies. Due to its small size, renting a motorbike is a more frequent option for tourists.